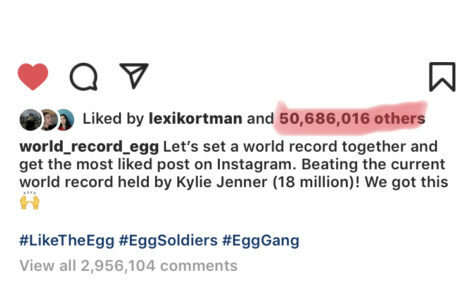 To start 2019 off fresh, millions of Instagram users banned together to prove that the egg, does in fact, come in first place. At least, first place for most liked picture on Instagram. The record, previously held by Kylie Jenner, was attained through her first post of her and Jacques Webster’s (professionally known as Travis Scott) newborn daughter, Stormi. After giving birth February 1, 2018, Jenner’s photo of the newborn’s hand holding her delicate finger with a baby pink acrylic took the internet by storm (no pun intended). As of the publishing of this article, the picture remains the second most liked photo on Instagram, holding a whopping 18,685,255 likes, and that number continues to grow. One of the most anticipated births by far of 2018, the first look at Stormi’s tiny hand begs the question: Why would anyone want an egg to be the most liked picture on the internet? No one really has an answer, not even the egg. Posted on January 4 of this year, the egg quickly blew up. Everyone that frequents the Instagram Explore Page was rooting for this egg. By January 15, the egg had surpassed Jenner’s post, attaining over twenty million likes within ten days of being posted. The Internet cheered. 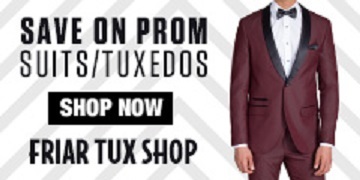 For people who don’t live in a hole on Instagram, the egg is… an egg. It comes out of a chicken and sometimes is eaten for breakfast. While most of us have probably moved on from the egg, which has now surpassed fifty million likes and continues to grow, the egg isn’t done yet. The owner of @world_record_egg has posted two more egg photos, with the egg cracking a little more in each one. What’s next in store for this little egg is a guessing game for now, but for now the Internet can collectively be proud of themselves for joining together to make an egg famous.